Bethany Nowviskie is the incoming Dean of Libraries at James Madison University, a post she will take up full-time, along with an appointment to the faculty of JMU’s Department of English, in July of 2019. Meanwhile, she serves as Distinguished Presidential Fellow at the Council on Library and Information Resources (CLIR), Senior Advisor to the Digital Library Federation (DLF), and Research Associate Professor of Digital Humanities in the Department of English at the University of Virginia. As director of the DLF from 2015-2019, she collaborated with leadership of the HBCU Library Alliance on opportunities for digital library staff from historically black colleges and universities and with international partners on the Digital Library of the Middle East, and established the organisation as host to the National Digital Stewardship Alliance and code4lib, as well as the home of vibrant working groups, inclusivity initiatives, and conferences and events. DLF is an international nonprofit consortium of nearly 200 libraries, archives, museums, labs, government agencies, and institutions of higher education, dedicated to advancing research, learning, social justice, and the common good through the creative design and wise application of cultural heritage and information technology. While at the University of Virginia Library (2007-2015), Nowviskie was the founding director of the Scholars’ Lab and the library’s Department of Digital Research & Scholarship, and additionally served as Special Advisor to the Provost for the advancement of the digital humanities at UVa and as chair of the institution’s General Faculty Council. Nowviskie is a past President of the Association for Computers and the Humanities, a member of ADHO‘s international Steering Committee and chair of its Conference Coordinating Committee, and chair of both the UVa General Faculty Council and the Modern Language Association‘s Committee on Information Technology. 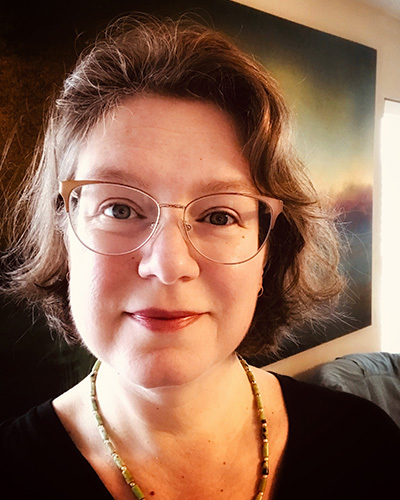 She holds a doctorate in English from the University of Virginia and a master’s degree in Education from Wake Forest University, and has taught numerous courses in Literature and Media Studies at UVa, including on video game design and aesthetics, writing, and textual criticism. She remains a member of the faculty of UVa’s Rare Book School. Nowviskie’s past projects include: Neatline, the Praxis Program (for interdisciplinary, project-based learning) and Praxis Network, Speaking in Code, #Alt-Academy, the Scholarly Communication Institute, NINES, Juxta, and the Rossetti Archive.